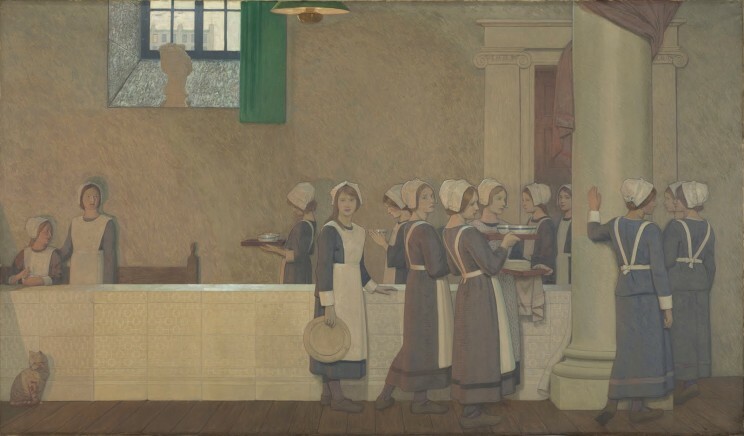 The recent exhibition, Acts of Mercy, at the National Gallery has brought well-deserved attention to Federick Cayley Robinson (British, 1862-1927). Despite his remarkable abilities and relationship with still-celebrated artists, the majority of Robinson’s works are in museum storage or private collections. 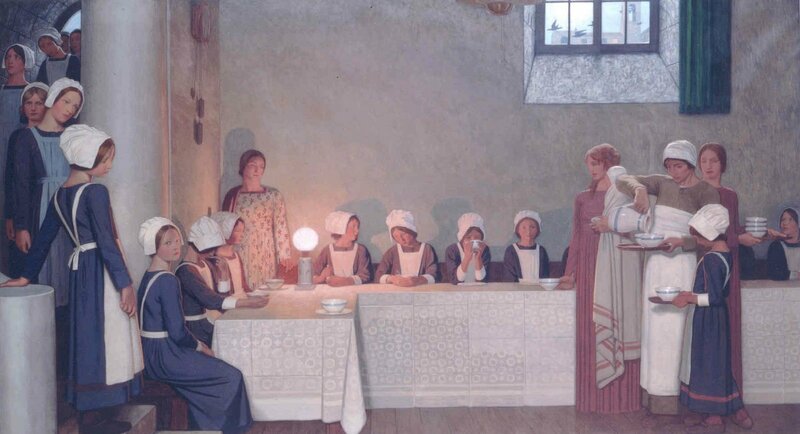 Federick Cayley Robinson (British, 1862-1927) Acts of Mercy: Orphans II (c. 1915) Oil on canvas. Wellcome Collection, London. Robinson studied at the Academy of St. Johns Wood before being accepted to London’s Royal Academy under Frederic Lord Leighton (British, 1830-1896). He continued to develop his abilities, first at the Academie Julien in France for three years and, then, in Florence. Federick Cayley Robinson (British, 1862-1927) The Old Nurse (1926) Oil on canvas. British Museum, London. Robinson moved back the UK to take a teaching position at Glasgow University, where he became a friend and collaborator with members of the Glasgow Boys. But, before taking his post, Robinson travelled to Newlyn, England at the peak of Stanhope Forbes’ (British, 1857-1947) career. Like Forbes, Robinson’s work was dominated by fisherman, farmers, and shepherds. 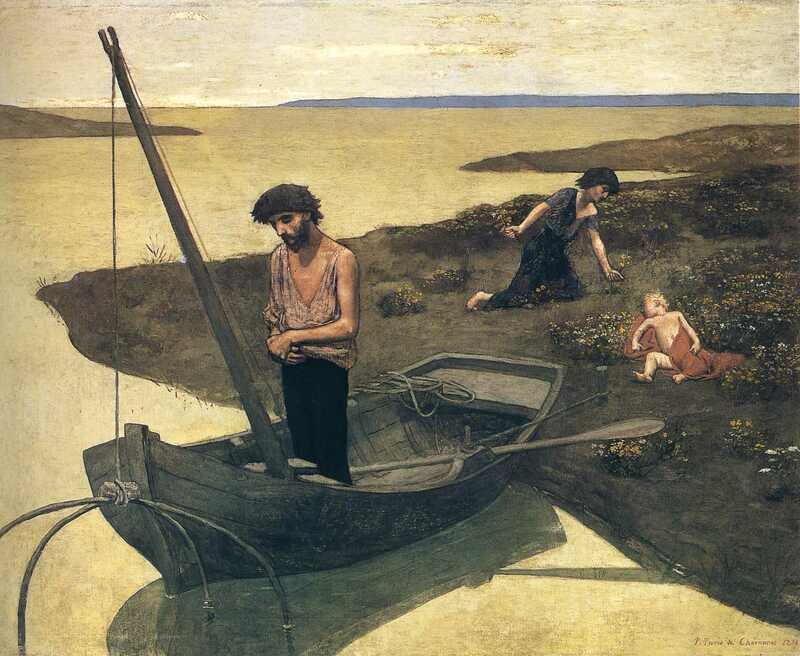 But, unlike the Newlyn School, which took inspiration from French Naturalism and Jules Bastien Lepage, in particular, Robinson was heavily influence by the Symbolist Pierre Puvis de Chavannes (French, 1824-1898). 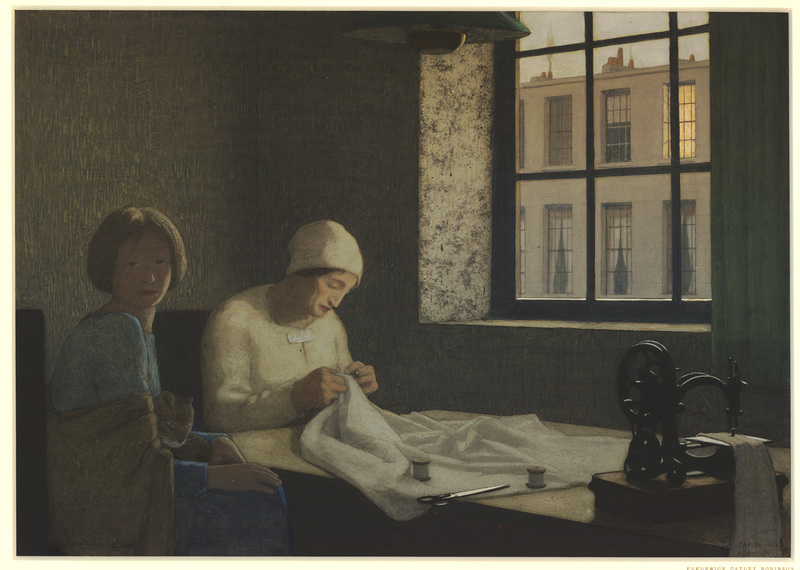 Federick Cayley Robinson (British, 1862-1927) To Pastures New, or Dawn (1904) Watercolor, graphite, and bodycolor on board. 28 by 35 1:2 in. In To Pastures New, Robinson creates an homage to the French artist by reversing Chanvannes’ composition in The Poor Fisherman. 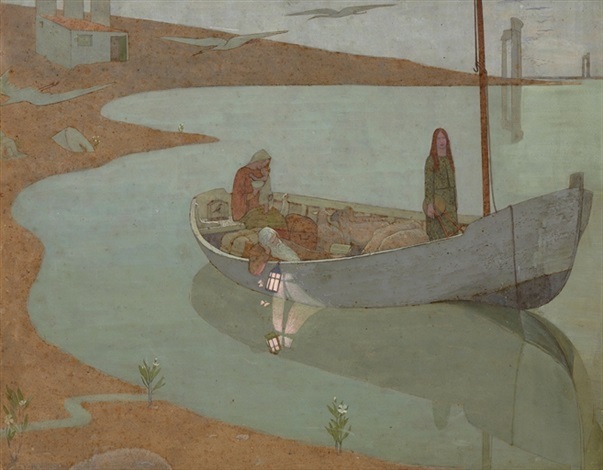 Federick Cayley Robinson (British, 1862-1927) Acts of Mercy, Detail (c. 1915) Oil on canvas. Wellcome Collection, London.